YOU CAN GET THE SAME PAPERWORK FREE_FREE_FREE from the FLORIDA SUPREME COURT WEBSITE!!!! In some cases going cheap may end up costing you a lot more in the end. Sure you can purchase a packet of papers from an “online non-lawyer service” that advertises you get “all the documents you will ever need” for $60.00. BUYER BEWARE-the same papers you are purchasing for $60.00, YOU CAN GET FOR FREE at the Florida Supreme Court’s Website at http://www.flcourts.org/resources-and-services/family-courts/family-law-self-help-information/family-law-forms.stml#980. Plus, they have “simple” instructions. The same instructions that a Document Service can provide. THEY CANNOT PROVIDE LEGAL ADVICE!!!! THE COURT FILING FEES ARE MORE THAN $60.00! Let’s first look at the actual cost of filing your papers. In the 20th Circuit (Lee, Hendry, Glades, Collier, and Charlotte Counties), the Court filing fee for divorce is $408.00. If you have to serve the other party, add $10.00 for the Clerk’s Issuance of a Summons. Then, add the $40-50 fee that the Sheriff will charge you to have it served on the other party. Depending on your income and assets, you may be able to qualify for a fee waiver of some of the Court fees. Each County Clerk will have a form, ASK THE CLERK FOR A WAIVER FORM! If you are still confused….Ask an Attorney for a FREE Consultation. There are attorneys that will work with you and help you through your difficult times. Think about the Costs if you make a mistake in your paperwork…you could be waiving a right. Please seek the advice of an attorney BEFORE you decide to file. 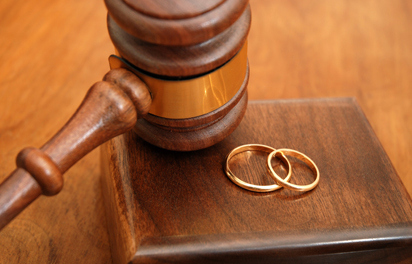 Divorce is already a difficult situation, do not make it worse. For more information contact us at The Law Office of Mary A. Cosmo, Ft. Myers Attorney, practicing in Lee County. We are now taking cases for civil litigation, small claims, family Law, and probate proceedings. Call us today to see how affordable legal advise can be. The Law Office of Mary A. Cosmo, 15050 Elderberry Lane, Suite 4-14, Ft. Myers Florida 33907. Previous Previous post: Do you have Child Custody Issues? Next Next post: What are my rights as an unwed mother?